want to transform your Christmas celebration? 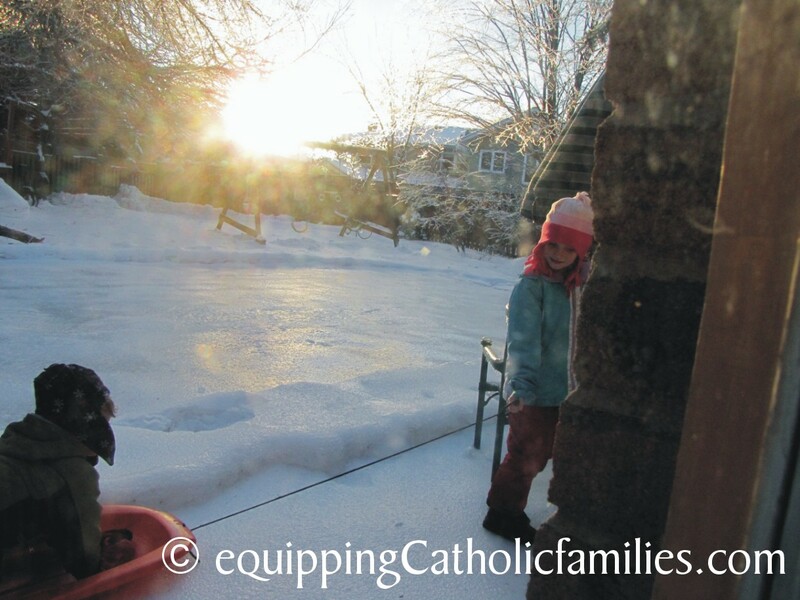 This 12 Days of Christmas project was created by a fascinating company I was blessed to discover at the Catholic Marketing Network this past summer. This team of song writer, choir, crafter and designers have created a jammed packed craft kit focused on their beautifully sung version of the 12 Days of Christmas, explaining the Catholic/Christian meanings of the song. Our Father Gave to Us the 12 Days of Christmas is available on iTunes. You will want to hear this brilliant 5 kid choir! The craft kit includes FOUR different crafts to further articulate the 12 Days of Christmas within Christmas decorations and traditions, encouraging us to continue celebrating Christmas well after December 25th! This craft kit is packed! 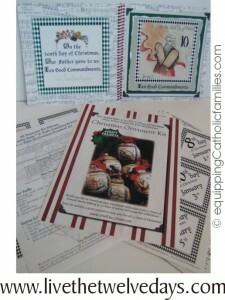 4 craft projects including 2 types of ornaments, votive candle art and gift tags. 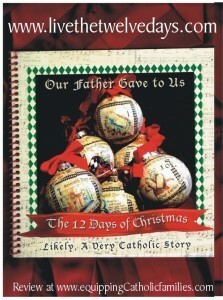 If you find that you are running out of time to do crafts…the book Our Father Gave to Us the 12 Days of Christmas is a great intensely-colored book with beautiful artwork and text. The book is available spiral bound…and also as an e-book on iTunes. Check out this impressive video talking about this wonderfully creative initiative…and catch the sound of the song! …but I wanted to get the word out about this wonderful, packed craft kit, the beautiful song (“The Carpool Choir” of 5 kids is incredible!) 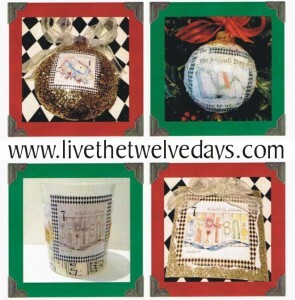 and this Faith-filled company, in case YOU want to live the twelve days of Christmas in a whole new way! Jesse Tree Treasures for Christmas! Was hoping to make it to this years CMN, it was fun meeting you two years ago! Hope you have a super successful show! Your work remains amazing! Would love to see your crafts from the kit!